The kids could barely tear themselves away from their outdoor play this evening for dinner, and I have to admit, it was rather nice to just *be* outdoors. We poked around in the flower beds looking at the daffodil shoots which are getting longer now. 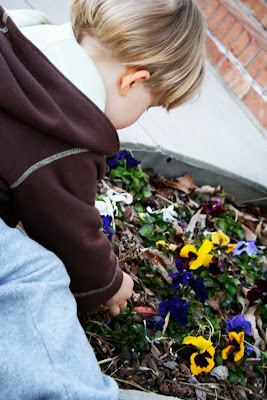 Finn just wants to pick the remaining winter pansies. 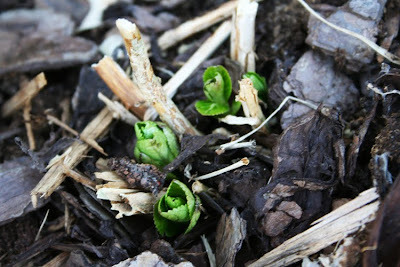 I also spied a wee bit of green coming out from the hydrangea. 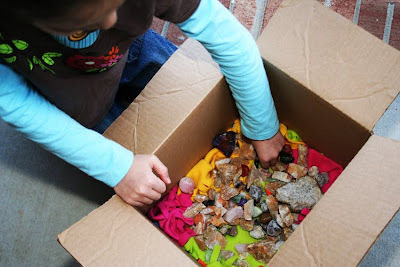 Elizabeth gathered more rocks, this time for a treasure chest. 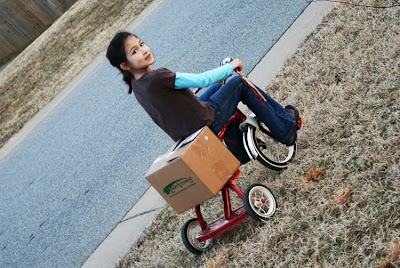 Then she toted her treasures around the yard on their too-small, ages-old tricycle looking for more to add to the box...ahem, treasure chest. 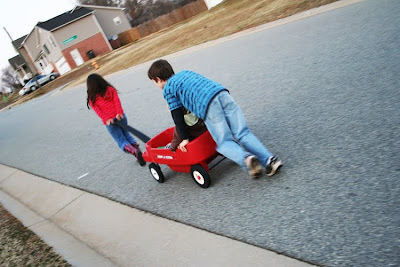 Finn received a ride down the road in a neighbor's wagon. 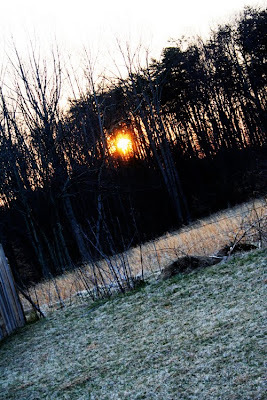 And we were treated to a warm, glowing sunset to end our lovely time outside. Oh, heaven! We're eating every meal we can outdoors. I'm SO very happy right now! i love the green bulbs coming up! 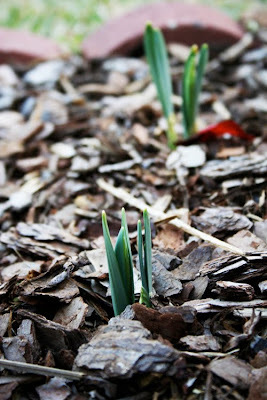 I just love it when the bulbs start peeking up!!! Lovely! 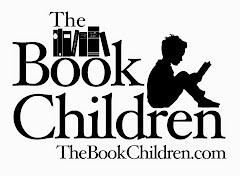 I love seeing Elizabeth doing things at age 9 that Zach loves at age 5, gives me great heart that he won't grow up too fast and will keep that lovely sense of childhood wonder for years and years to come! I love those little bulbs peeking up. We don't have anything like that here in Miami--- no real seasonal change. I love the longer days! These photos of your kids are so cute.